The McGann Group, LLC of Berkshire Hathaway HomeServices | PenFed Realty is one of Maryland’s premier real estate companies. Our guiding principles are hard work, integrity and accessibility. We specialize in buying and selling Homes, Condos & Land in Baltimore City and the surrounding counties of Anne Arundel, Baltimore, Carroll, Harford & Howard quickly and easily and for a price that make our clients happy. Our mission is to provide every client with an enjoyable experience that goes well beyond the simple exchange of real estate. 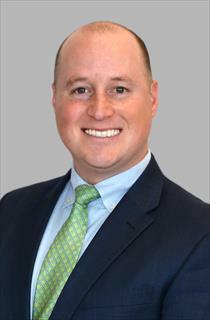 When Benjamin is not selling real estate or helping a buyer find their perfect home, he spends his time volunteering for the Maryland Historical Society, supporting Maryland's horse community as a member of the Elkridge-Harford Hunt Club or cheering on his favorite Baltimore sports teams – the Orioles and Ravens. Being a Maryland native, Benjamin knows the state very well – especially the Baltimore Metro Area. Benjamin grew up and went to school in Harford County, where most of his family still lives today. Benjamin then moved to Maryland's eastern shore to study Economics at Washington College. After college, Benjamin moved to Baltimore City to live and work and has been an active resident and enthusiast of the City ever since. Before beginning his career in real estate in 2012, Benjamin spent several years working as a political fundraiser on both the federal and state levels. After fundraising, Benjamin transitioned into commercial property management for two years with CBRE, a Fortune 500 company. Benjamin's hobbies include horseback riding, hiking, camping, playing chess and traveling.